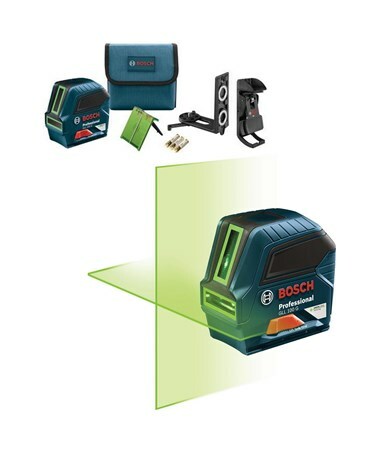 With a working range of up to 100 feet, the Bosch GLL 100 G Green Beam Cross Line Laser is a multifaceted tool which utilizes green-beam technology for excellent visibility. It produces vertical, horizontal and cross line modes. The GLL100G also projects two lines independently or together for a broad array of alignment and leveling applications. 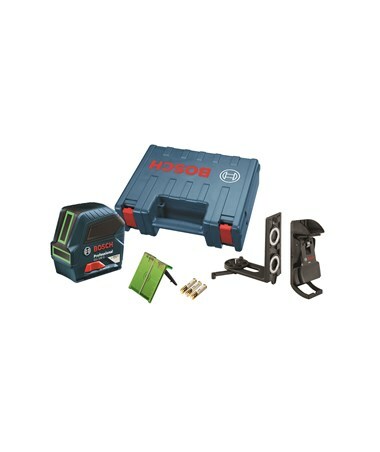 In addition, this construction laser provides an accuracy of ±1/8-inch at 33 feet and ±3/8-inch at 100 feet. 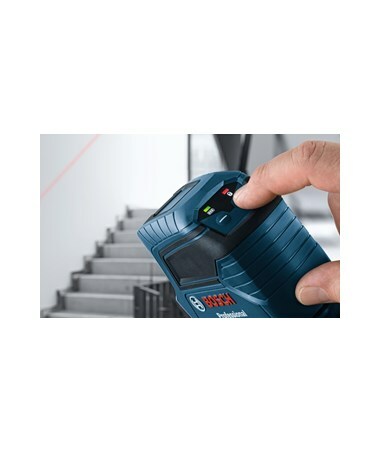 The Bosch GLL 100 G self-levels within 4 degrees and features the exclusive VisiMax Technology which delivers maximum beam brightness in varied job site conditions. 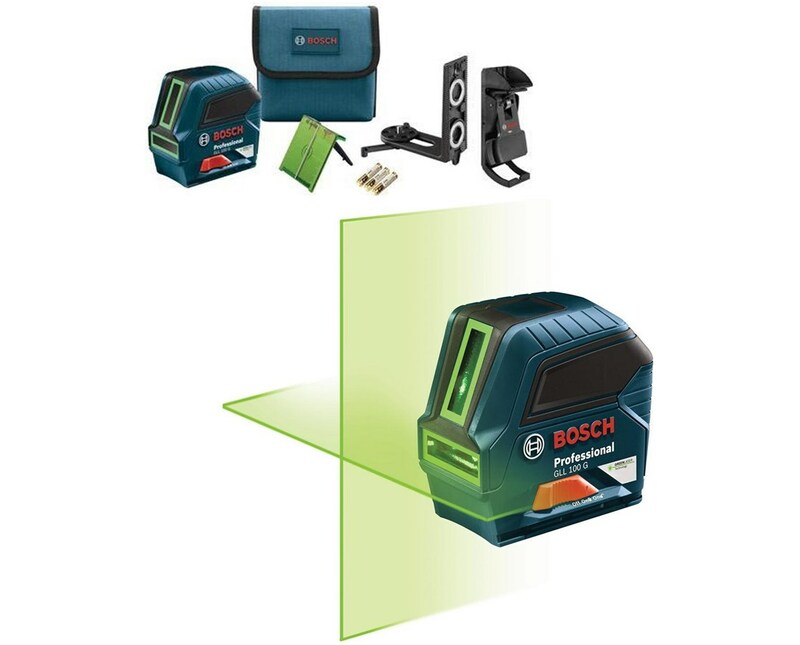 This cross-line laser delivers up to 4x highly visible lines while protecting the laser diodes from overheating. VisiMax constantly monitors the laser's temperature so the diodes are always driven to deliver the best line visibility while preserving the life of the line laser. The GLL100 G is also designed with an out-of-level alert and a locking Smart Pendulum System for secure transport. 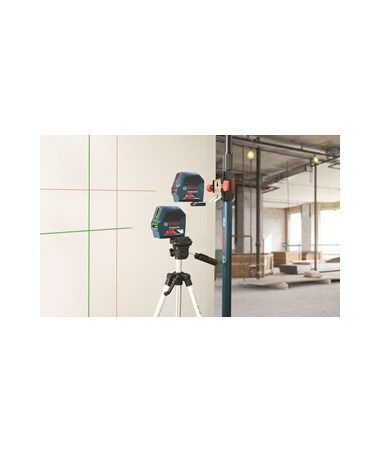 With a sturdy over-molded construction, the GLL 100 G green beam line laser withstands harsh job site conditions. It also has an IP54 rating for water and dust protection. This self-leveling laser includes a magnetic L-mount base with dual 5/8 x 11 and 1/4 x 20 tripod threads. The mount attaches to metal surfaces, such as steel studs. It also has retractable feet that allow the cross line laser to be used as a freestanding device.